WrestleMania is less than two weeks away. WWE has done a great job building the Raw Women’s Championship match into a worthy main event, but to say the SmackDown Women’s title has taken a backseat would be an understatement. However, it’s not too late to give the fans pay off on months of storylines with Naomi. 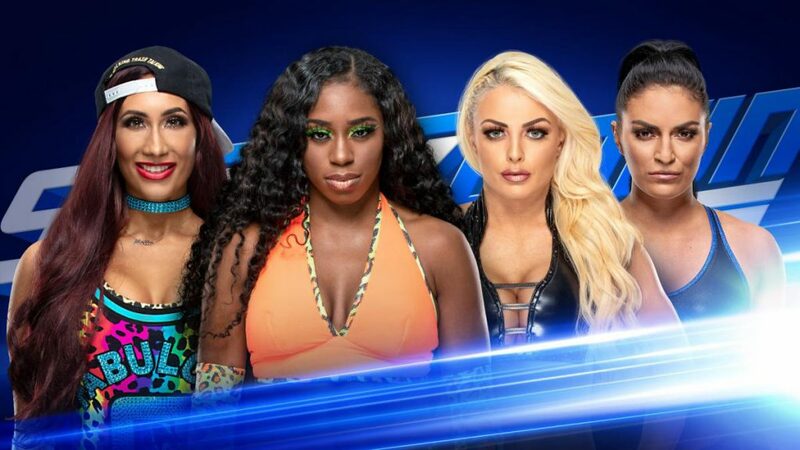 Last Tuesday, WWE announced that there will be a fatal four-way to determine the number one contender—another uninspired announcement about the SmackDown women’s division made after the show. Even more, the champion, Asuka, and the title weren’t mentioned in last week’s episode at all. After weeks of dysfunction following Fastlane, Mandy Rose and Sonya Deville will face Carmella and Naomi in a fatal four-way match for a chance to challenge Asuka at WrestleMania. Logic would dictate either Mandy or Sonya will win, judging by the way the match has been framed. There could possibly be a screwy finish as well, making the title match a triple threat. Nevertheless, Naomi should win and become the number one contender on Tuesday. Last year, she won the 20-woman WrestleMania Women’s Battle Royal. A great moment that didn’t grant her any new opportunities or programs to work. That isn’t to suggest she deserves this opportunity simply because she hasn’t been given other ones throughout the year. One could even argue giving Rose or DeVille the win helps to build up new stars. That’s true, but the potential break up Fire and Desire should be its own moment. The last thing Asuka needs right now is to play second fiddle to that story. The champion she shouldn’t be an afterthought at WrestleMania. If WWE wants to continue to build her as a competent and dominant champion, they should take the time to craft a compelling matchup for her. It would be a shame if they made the title match a placeholder to move someone else’s story forward. More importantly, it would feel like a missed opportunity if Mandy doesn’t finally get her comeuppance after feuding with Naomi for months. So far, Rose has gotten the better of her at just about every turn. She upstaged and unceremoniously eliminated her after a death-defying save at Royal Rumble. Even when Naomi cornered her at Elimination Chamber and hit her with an emphatic Rear View, Rose got the last laugh. Afterward, the IIconics snuck up behind her and eliminated The Fabulous Glow with a tag team pinning maneuver. A win now, and a subsequent ticket to WrestleMania, would be sweet revenge. Besides, Asuka and Naomi have a history as a team because the latter was outnumbered. If she beat Mandy now with Fire and Desire separated and in doubt, that would make perfect sense. It would be a fitting end to both plots. Yes, they’ve already competed in a title match the night after TLC. But it was hard to invest in a match knowing The Empress of Tomorrow wouldn’t drop the title so soon. Also, fans didn’t really get to see how Naomi’s unorthodox offense could pose a threat to Asuka. Putting the former tag partners on a bigger stage with more time could make for a more entertaining match. With just two episodes left, it doesn’t even need much time to build. All the seeds are already there if they want to go in this direction. Not to mention, a one on one bout would set this match apart from the other women’s title matches on the card. Would you like to see Naomi become the number one contender for the SmackDown Women’s Championship?